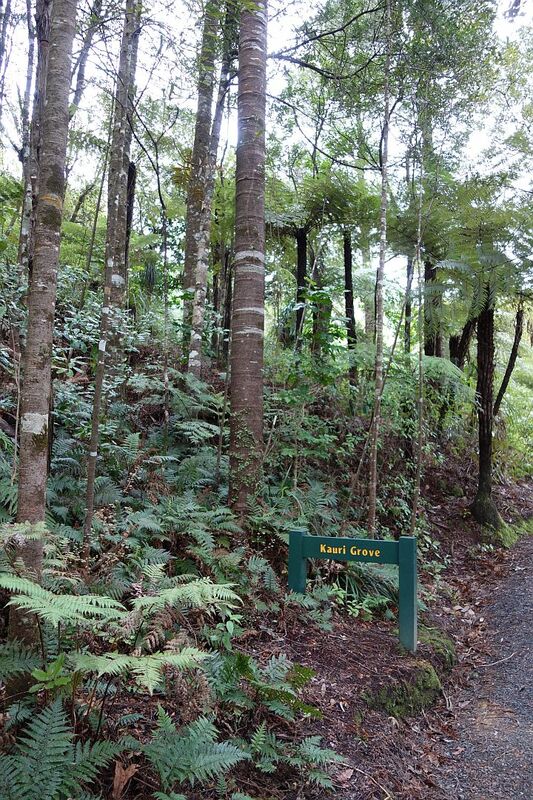 This walk covers the Kauri Loop track and on to the Southern Lookout. Unfortunately the visibility was rather poor on the day. 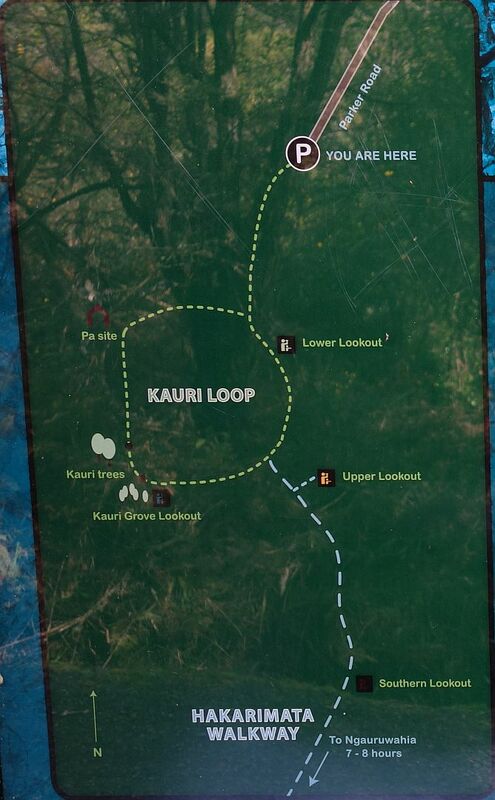 Details of the Kauri Loop Track can be found on the DoC website. 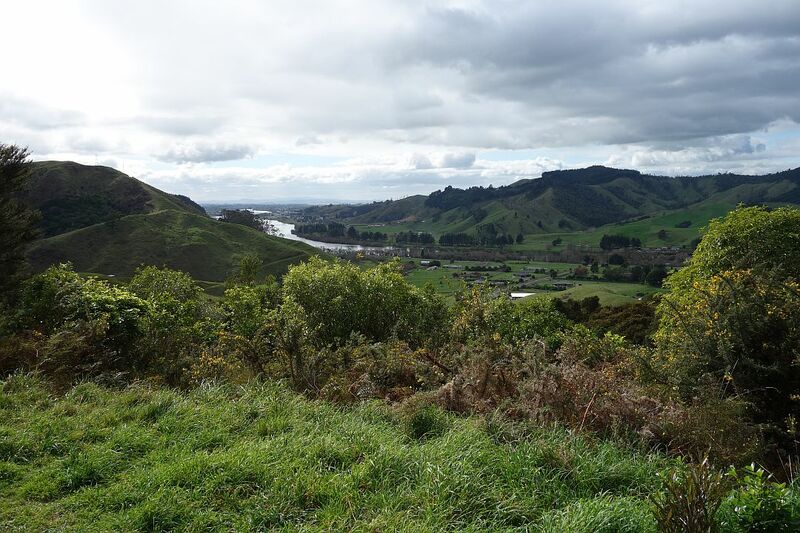 There is a parking area at the end of Parker Rd, off Hakarimata Rd, and toilet facilities near the start of the track. The track has a large number of steps, but is a fairly gentle climb. From the loop track to the southern lookout the track is not as well formed, and is classified as a tramping track. 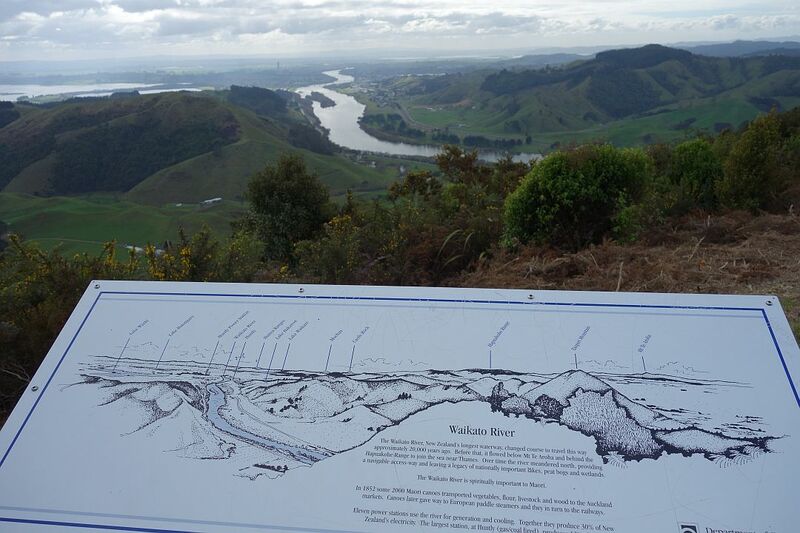 The total distance from the carpark to the southern lookout and back, taking one branch of the kauri loop on the way up and the other on the way down, is about 4,5km, and took about 2 hours. 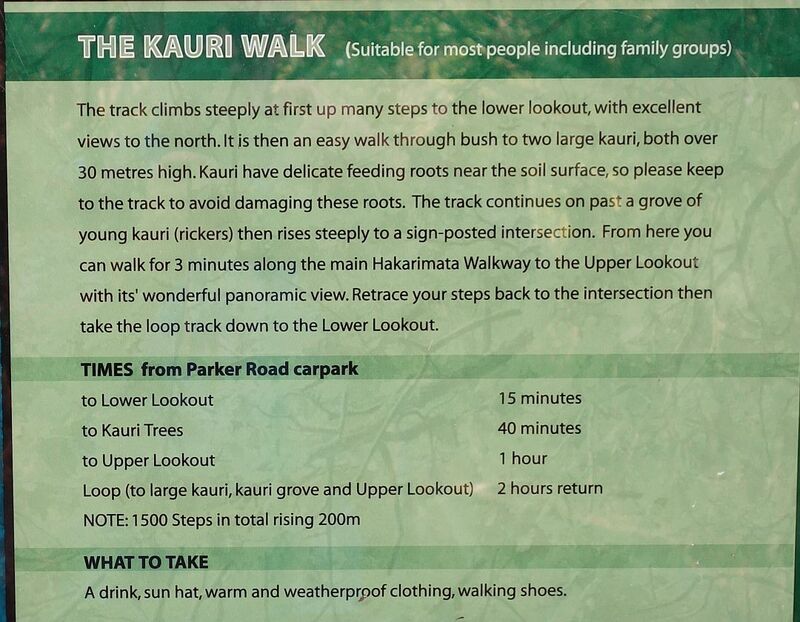 One of the largest kauri trees in the Waikato is accessible directly from the loop track. It is estimated to be about 1000 years old, and has a diameter of about 1.6m. 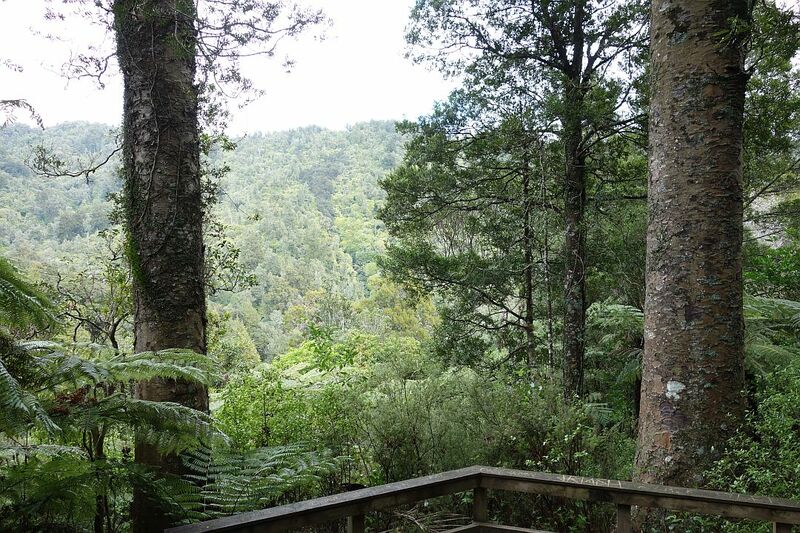 Young kauri trees are growing nearby, and in about a thousand years should be similar in size to the large one. 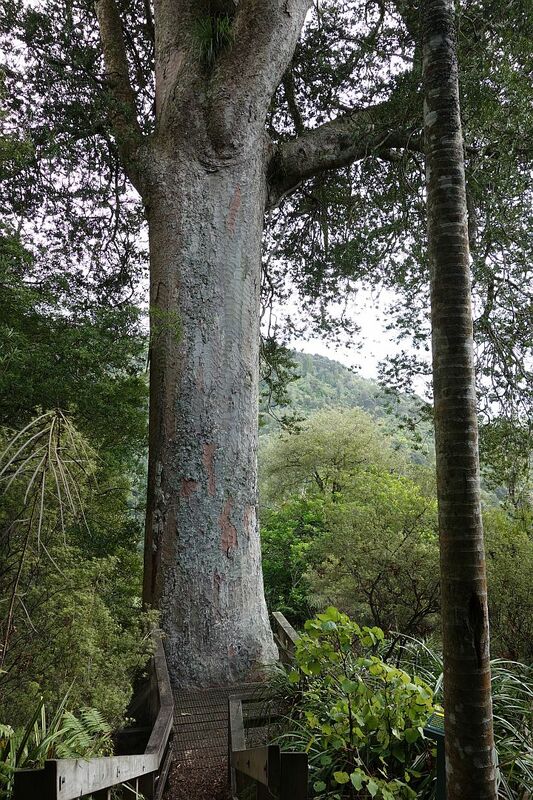 There are other quite large kauri trees that somehow escaped the milling about 100 years ago. 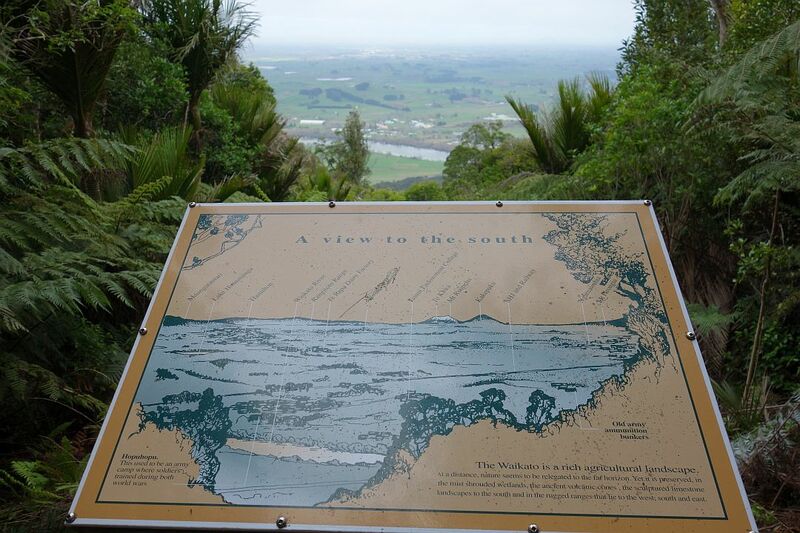 There is an impressive view from the Upper Lookout towards Huntly and the north, with the Waikato River clearly visible. Lake Rotongaro and Lake Waahi are to the left of the river. View from the Southern Lookout. On a clear day Mt Ruapehu should be visible. View from the Northern Lookout. The track was walked on August 10, 2014. 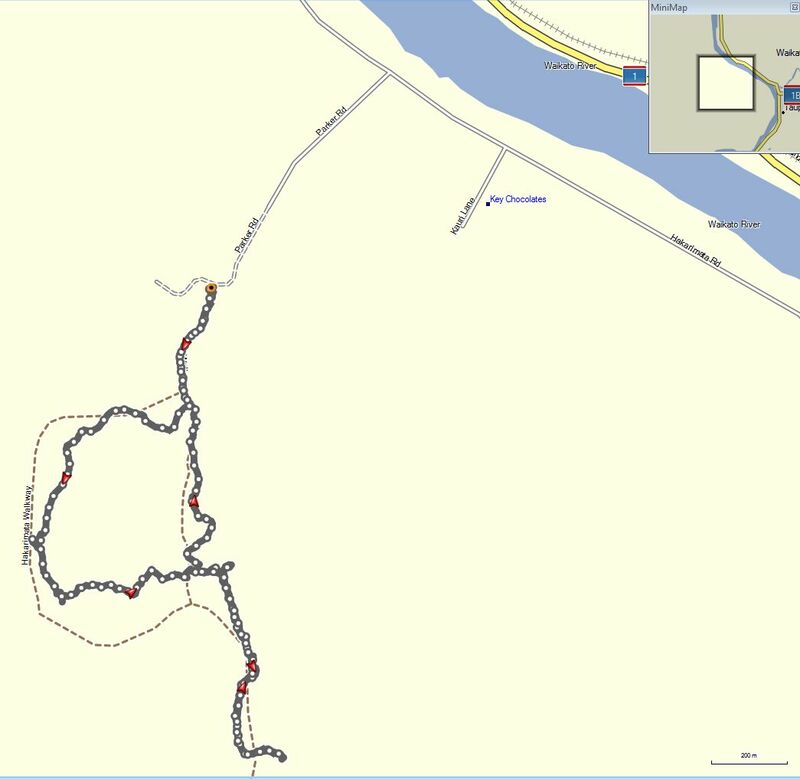 This is a GPS log of the walk.